In order to increase the security at a construction sites in Singapore, CCTV surveillance has become a great option these days. 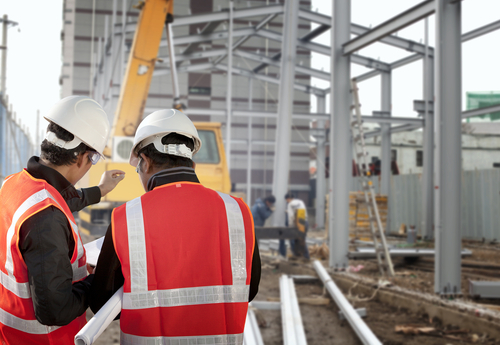 You can keep your construction strategically safe by installing a quality surveillance system as it offers a number of benefits. It can help in preventing the theft of property at your construction sites like tools and construction materials which can cause inconvenience and increase the cost of the project. Thus investing in CCTV is not an unnecessary expense even for temporary construction projects as nothing it inexpensive these days. According to various studies digital surveillance can reduce crime rate at construction sites even if it cannot stop theft completely. CCTV surveillance at construction sites was considered unnecessary and impractical until few years back as proper and good quality cameras were not available till then. But today the scenario has completely changed with the dramatic improvement in technologies and bandwidth of mobile networks. Now you can get live images of your construction sites even while sitting far away from it due to offsite transmission of the streaming images with the help of amazing quality of 3G or 4G networks. 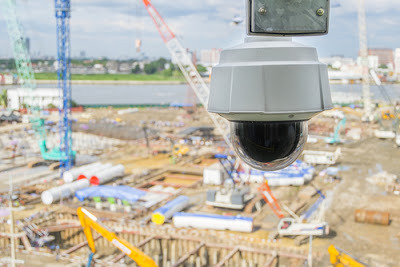 In this guide for CCTV installation at construction sites brief information of the types of cameras used for this purpose and there benefits are briefly discussed for your guidance. Basically three types of CCTV surveillance cameras are used in Singapore to increase security of the construction sites. These cameras include Box Security camera, Bullet security camera and dome camera. But today battery powered Videofied systems are also used at the construction locations were permanent electric supply is not available. Box security cameras: The versatility of these cameras has made them very popular among building contractors. Though you will have to buy a lens separately for using a box type camera at your construction sites but they are still popular in Singapore because they can be shifted to another site very easily as per the needs of the site. Normally they are designed for indoor surveillance but if you want to use them outdoor then you will have to arrange outdoor housing to keep it protected from thieves and weather conditions. Bullet security cameras: This is another type of cameras for building sites. You need not purchase housing for these cameras as they are designed to use indoor and outdoor with equal ease. The field of vision of these cameras even in totally dark areas can be illuminated by using preinstalled IR LEDs or InfraRed Light Emitting Diodes. IRL EDs allow this camera to see what a naked human eye cannot see in the darkness. So for this reason these cameras are preferably used for surveillance of larger building sites. Dome cameras: These cameras are useful for the site of construction as they can easily be mounted anywhere to increase security through their various features including Pan-Tilt-Zoom movement, tracking and following the object and infrared technology used in them. They are considered as the best alternative for controlling vandalism at building site. The rugged and tough design and excellent quality of videos has made this surveillance camera popular among construction contractors. Battery powered cameras: Since last few years battery powered cameras like RSI Videofied system etc. are also becoming popular among construction companies as they can be used at the sites of construction where permanent source of electric supply is not available. It has a video verification and alarm system along with external detectors to make quality videos of the sites even in the darkness of night with the help of infrared LED system provided in it when any movement is detected by its sensors. This camera sends a streaming video to the manager of the site to alert him to take action as required. After selecting a suitable CCTV you can hire a professional installation service to install it effectively at your construction sites. The service provider will install not only the camera but also remote monitoring system so that you or your managerial staff can see the activities at your site while sitting away from it. They can also modify your security system as per the rules of Singapore government to increase the security of your site as per your requirement. A reputed professional installation company will also offer maintenance and insurance for the CCTV installed at your construction sites. They can also reduce the cost of the security at your site of construction by replacing the faulty or damaged cameras at their cost. You can visit at their website to know the type of cameras and their accessories they can provide and ask for quotation to get them installed affordably at your building site. They will also provide you a site plan showing the locations where surveillance cameras have been installed so that you can easily locate them later on, if required. 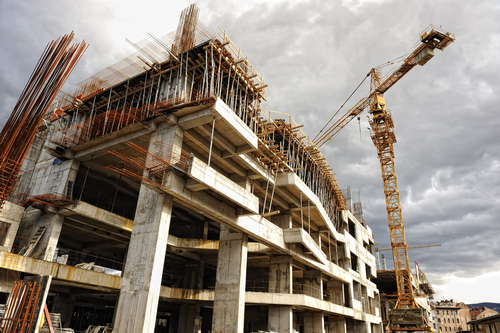 - The cost of security of construction sites can be reduced considerably by installing CCTV for remote monitoring of the site instead of employing manual guards. - Moreover you can know the actual cost of the security of the site of construction as the rate of surveillance will not change very week. - It can reduce the risk of health and safety of your staff and material not only during working hours but also after working hours as you or your staff can monitor the site without visiting it. If you have several projects even then you can monitor all of your sites remotely through your mobile devices against a minor additional cost. - Surveillance system with infrared LED does not need a permanent source of electricity for their proper working.